Our work in the online gaming industry continues with several different clients. This project focused on the new trend in online casinos – the live casino concept. This client wanted to build an affiliate site reviewing the top live casinos online. These are online casinos that provide a particular service – video streaming live dealers and live games directly to the consumer, so he/she may play live from their computer or browser. The live casino concept is incredibly popular and providing an all new angle to the tried and true online casino. This client wanted an easy WordPress theme so their non-technical staff could quickly and easily post up reviews of their favorite live casinos. The homepage offers a slideshow of their top partners (currently 3), followed by reviews and recent articles. The excerpts are specifically written and unique from the review content so as to avoid any duplicate content among the pages. One aspect unique to the live casinos is the interaction with live dealers, so the online casinos hire attractive women dealers as another selling point to entice new customers. The client site features images of these attractive dealers throughout the site with actual screenshots taken while playing. 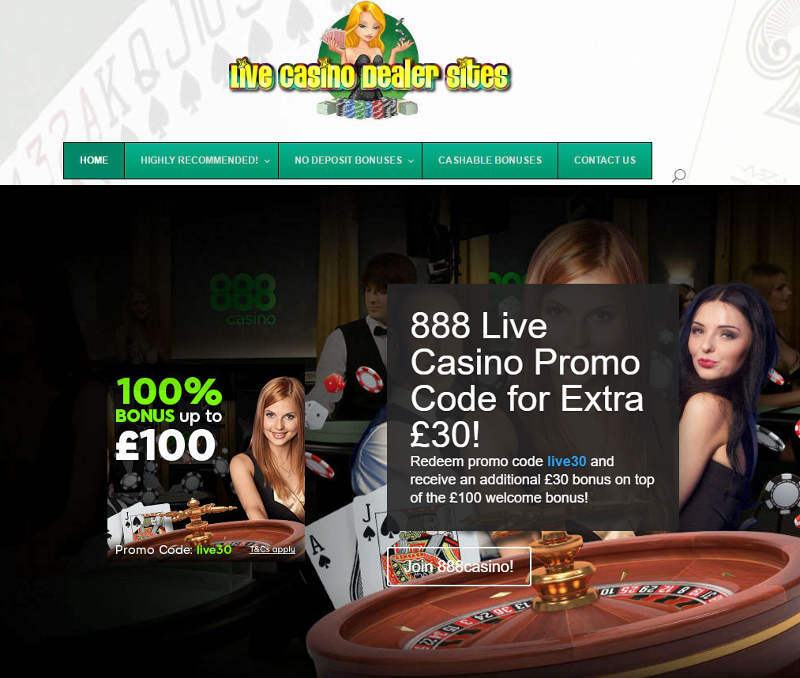 The site produces review pages to promote their partners, such as this William Hill live casino review at https://livedealersites.com/william-hill-live-casino-promo-code/.